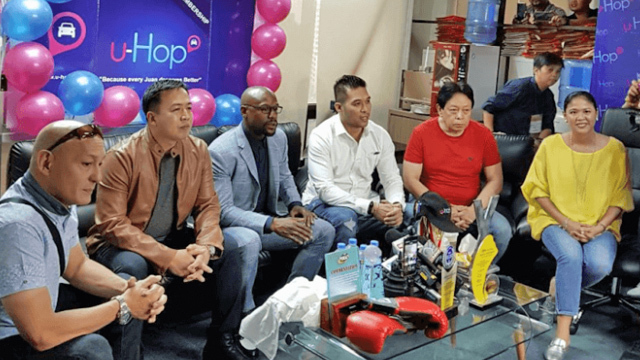 Boxing champion Floyd Mayweather Jr. has invested an undisclosed amount in Philippine-based ride-hailing service u-Hop, according to several reports on Thursday, May 10. According to a report by Tech in Asia, this is the first startup Mayweather’s investment firm, The Money Team, has ever supported in Southeast Asia. The partnership will also make the boxing icon a key partner of the startup and not just serve as an outside investor. A report by GMA News Online also said Mayweather’s investment marks u-Hop’s global expansion. The startup is set to expand in the United States in June and eyes to set up shop in Thailand, Vietnam and Singapore. The boxing icon said he first learned about the startup from his Filipino personal assistant, and had been eyeing to invest in the company for the last three years. Mayweather’s investment in the local company may come as a surprise to many especially with the startup’s troubled history with Philippine regulators. u-Hop was one of the first companies to be granted a license to operate as a transport network company (TNC) in the country by the Land Transportation and Franchising Regulatory Board (LTFRB) along with Grab and Uber in 2016. It prided itself as a TNC for the masses as it allowed several passengers to share a ride at a time, lowering the cost of a commute. Unlike Grab and Uber, which mainly use private sedan cars, u-Hop launched with six to seven-seater vehicles that can carry several passengers for one journey. But months after its accreditation was granted, u-Hop’s operation was suspended following several complaints by its partner drivers, according to LTFRB Board Member Aileen Lizada in an interview on DZMM in March. By 2017, u-Hop introduced a business-to-business car rental service to continue operations. Just this April, u-Hop reported to have reactivated its ride-hailing app for transport network vehicle service (TNVS) on its Facebook page. The move followed Grab’s acquisition of Uber in the Philippines and Southeast Asia. To check Grab’s dominance in the ride-hailing industry in the country, LTFRB has granted licenses to five other TNCs namely, Ipara Technologies and Solutions Inc., operator of Owto, GoLag Inc., Hirna Mobility Solutions, Hype Transport Systems and Micab.